Whether you're buying your first car or your fifth, you know how frustrating it can be to figure out car insurance. How do you choose an insurance provider? What is a good price to pay? Do you go for full coverage insurance? It can certainly be confusing -- it's no wonder 56 percent of Americans don't feel confident making decisions about insurance. But, figuring out the best car insurance for your situation doesn't have to be a stressful process. Read on to have all your car insurance questions answered once and for all. Bodily liability coverage helps to pay for another driver's medical expenses if you cause an accident. Property damage liability coverage helps to pay for damage caused to someone else's property in an auto accident. Of course, you can always buy a policy that has higher liability limits if you want extra protection in the event that you cause an accident. Comprehensive and collision coverage is typically required if you are paying off an auto loan or are leasing your vehicle. Collision coverage pays for repairs and/or replacements to your car if it is damaged in a collision. Comprehensive coverage pays for repairs and/or replacements if your car is stolen or damaged by other things, such as an animal, vandalism, or severe weather. Both of these types of insurance come with deductibles and specific limits. A deductible is the amount of money you must pay out of pocket toward an insurance claim. A limit is an amount your insurance provider will pay toward that claim. 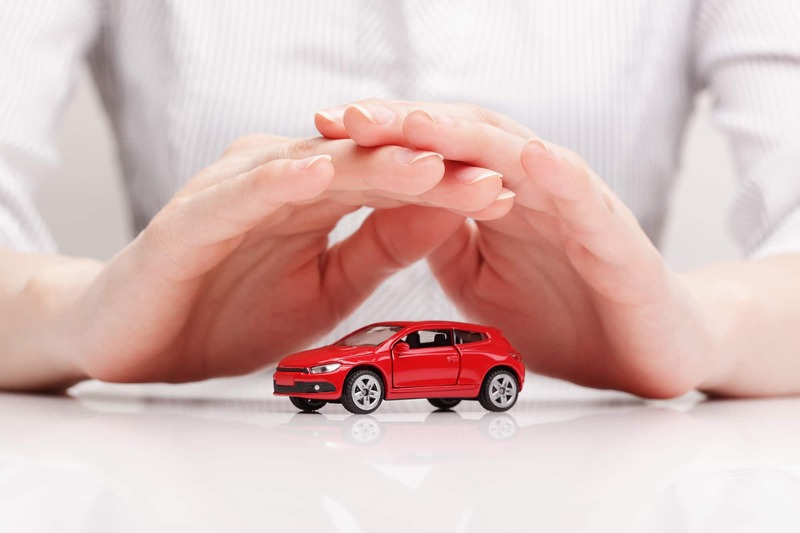 Full coverage insurance usually combines liability coverage with comprehensive and collision coverage. With full coverage insurance, you will be protected whether you cause an accident or someone else is at fault. This is the most ideal situation to be in as far as car insurance is concerned. Some people opt out and only pay for liability insurance to save money. But, if and when they're in an accident, they end up paying more than they would have liked because they didn't have as much coverage as they could have had. Uninsured motorist coverage and underinsured motorist coverage both protect you against drivers who either don't have insurance or have insufficient coverage. Both types of coverage help cover medical expenses related to accidents caused by another driver. You can also invest in medical payments coverage. This helps cover the cost of medical expenses no matter who was at fault for the accident. This type of coverage isn't available in all states, but some require drivers to have it. It helps cover medical expenses in a similar way to medical payments coverage. It can also help cover the costs of expenses (such as child care or lost income) while you're healing from an injury. Location: People who live in highly populated, urban areas tend to have higher premiums than those who live in rural areas. Age: Younger drivers typically have higher premiums because they're more likely to get in accidents. Gender: Male drivers are more prone to crashes than female drivers, especially when they're younger. Marital status: Married couples are considered to be safer drivers than single individuals. Driving experience: No matter what your age, if you haven't driven, you're considered to be a greater risk. Driving record: Insurers also take into account the number of accidents and tickets you've had. Claims record: If you've made a lot of claims with a previous insurer, your premium may be higher. Credit history: People with lower credit scores are more likely to file claims and, therefore, tend to have higher premiums. Vehicle type: Certain cars are more likely to be stolen or need repairs. Use of vehicle and annual mileage: The more you drive, the more likely you are to be in an accident. As you can see, there's a lot that goes into calculating your insurance premium. These factors aren't the end-all-be-all, though. Bundle: You can often save money by bundling your car insurance with other types of insurance, such as your renter's or homeowner's insurance or life insurance policy. Look for driver discounts: Some insurers offer things like good student discounts, discounts for people in certain professions (such as nurses or teachers), or discounts for people who have taken driving safety courses. Look for quality car discounts: Insurers may also offer discounts for hybrid cars or cars with anti-theft features. You may also be able to set get a discount if you set up an auto-pay account. It's usually cheaper to do this than to pay month-to-month. Auto-pay is great because it helps insurers save time since they don't have to send you reminders or follow-ups, and you get to avoid annoying late fees! Looking for Full Coverage Insurance? Are you ready to get reasonably priced, full coverage insurance from a provider you can trust? If so, contact us at Amistad Insurance Services today. We're available 24 hours a day to answer all your questions and help you get the best coverage possible.